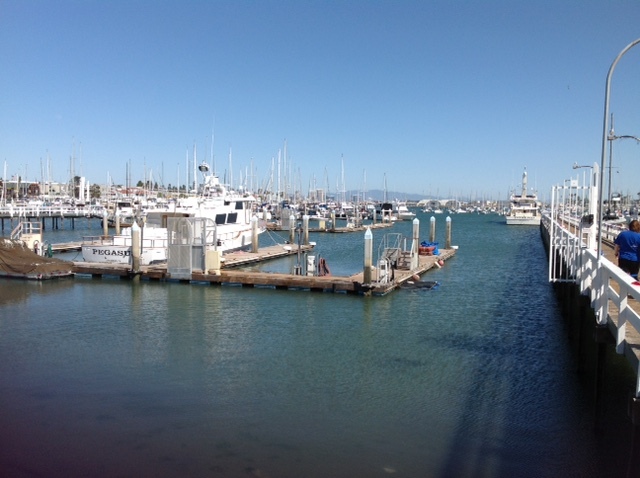 Recently a couple friends told me about a quaint little marina in Point Loma where they had a wonderful seafood lunch overlooking the docks and the boats. 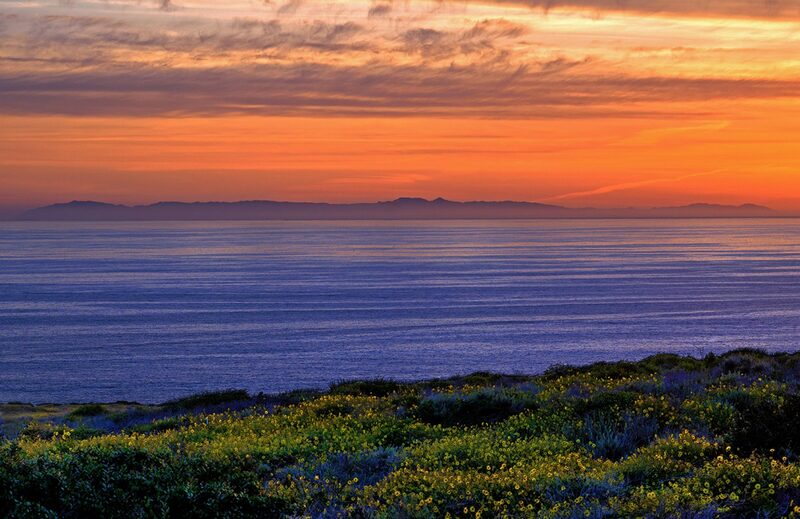 I racked my brain trying to think of where this was located but soon realized that I had never been there. 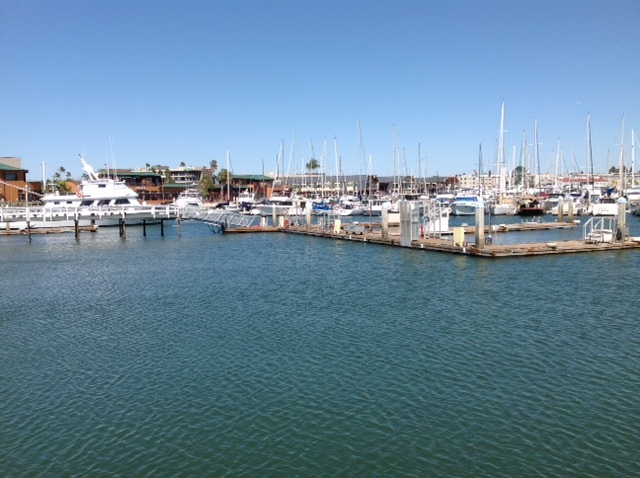 Eating seafood wasn’t the appeal for me but I just had to see this marina myself so it was time for a Sunday drive!!! With not much to go on, not even the name of the restaurant, we took a few lucky guesses and soon arrived at our destination. 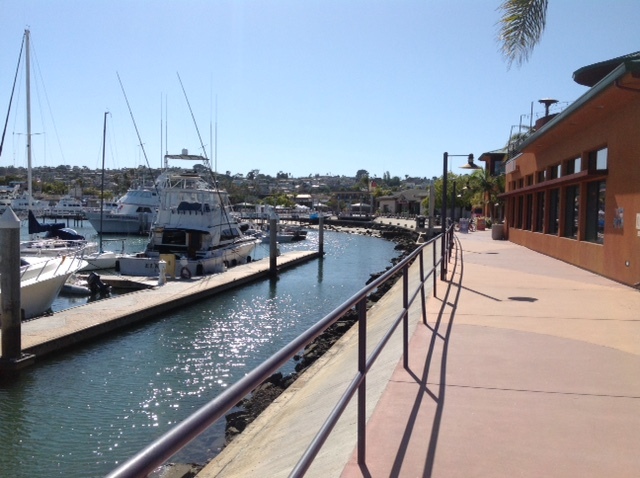 Mitchs Seafood is the restaurant in question and it does indeed sit on the edge of the marina. One of the lots was closed so we had to park in a 30-minute zone which made us rush a little in our exploration of the area. As it turned out we could have parked in another lot that didn’t have the 30-minute limit. My friends checked out the menu at Mitch’s and agreed that the food looked good enough to come back for another visit when we had more time. 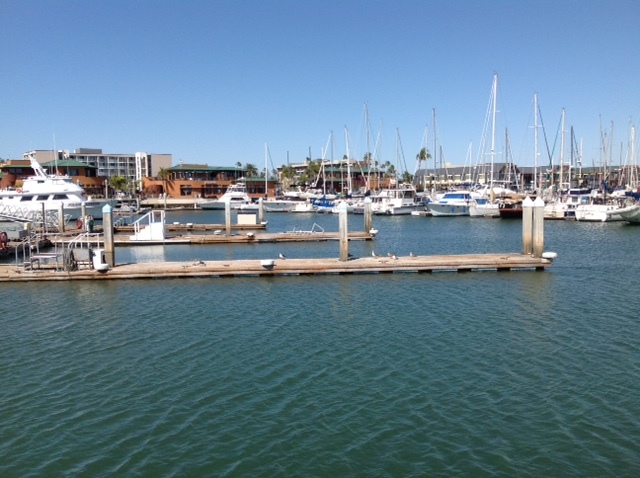 Point Loma Marina is San Diego’s newest marina located in Shelter Island’s America’s Cup Harbor, nestled just below the foothills of Point Loma. 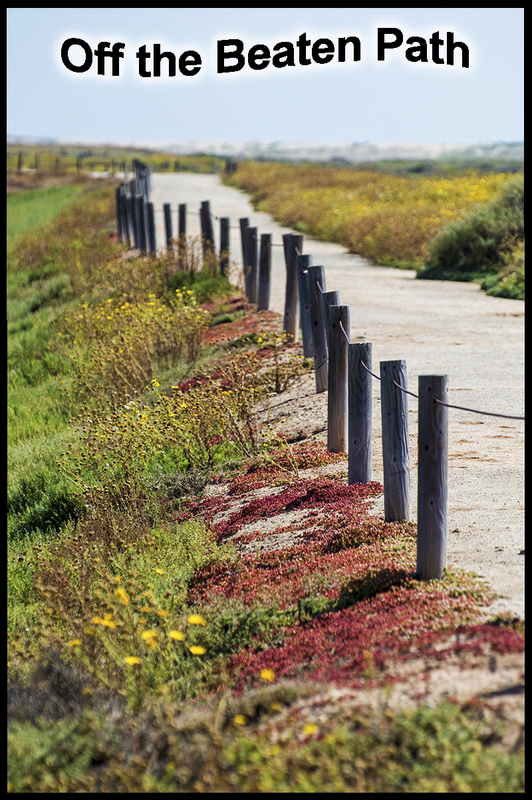 The marina has a walkway so that you can easily stroll to a few different restaurants, an ice cream shop, a large tackle shop, and more. On this Saturday afternoon, the area looked to be preparing for an open market craft fair that was taking place at night. That explained the lack of parking. Unknown to me is that the Promenade area has won two prestigious architectural awards which I would have paid more attention to if it wasn’t for the parking time limit. I did notice some pretty cool buildings but my attention was more towards the water. 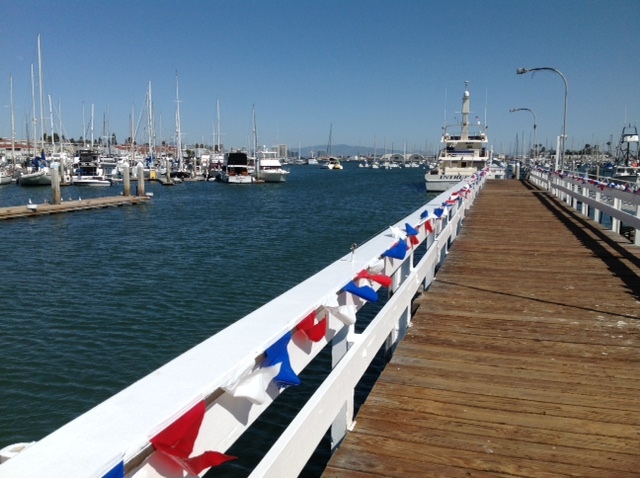 We were able to walk out on one of the long docks and casually wander along the wooden planks as we enjoyed the serenity of the harbor. The sky was a vibrant blue and the day was warm, both adding to the ambience. I think if it wasn’t for that dreaded time limit, I could have hung out there a lot longer. It was super relaxing. On our way back we passed by a kayak and stand-up-paddle rental shop. 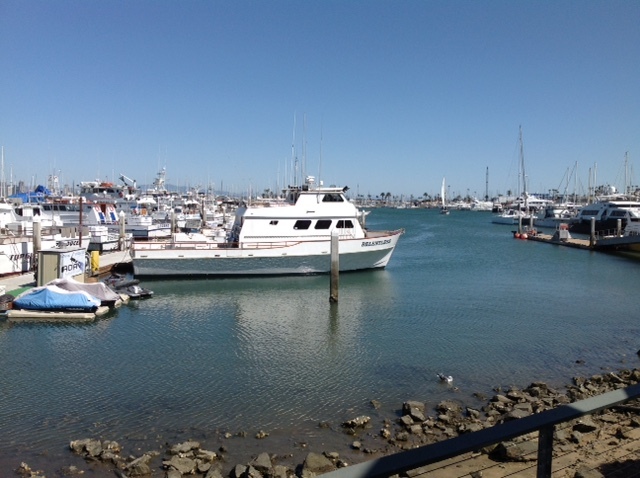 I glanced back at the marina and thought this would be a perfect place to ride one of those on a warm summer day. We also passed by Jimmy’s Famous American Restaurant which also had outdoor seating and that same wonderful view. We made a pit stop into the Fisherman’s Landing tackle shop and were amazed on how much gear they had packed in one place. There you will find every hook, swivel, sinker, for any size fish. Time was up so we headed back to the car and planned where we were going to eat lunch. It was kind of funny that it wasn’t a seafood restaurant as we were right there next to one. No, we instead chose Italian cuisine since our favorite Filipe’s was just down the road in Pacific Beach. Or they were just being nice to me since I had the keys. 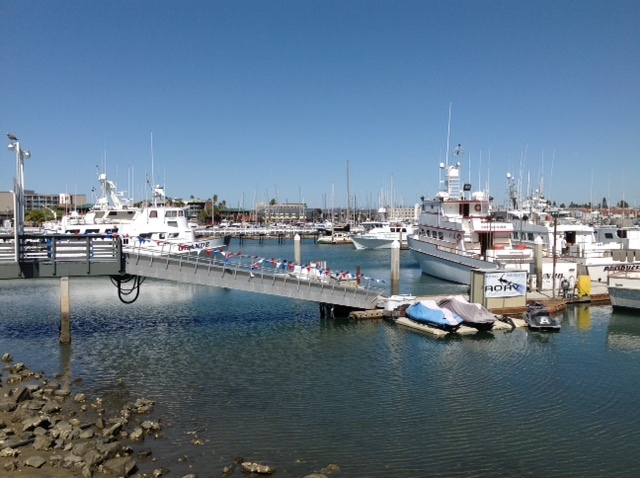 Point Loma Marina isn’t an all day thing and isn’t the size of a Seaport Village or Shoreline Village in Long Beach; however, it’s a great place to enjoy a leisurely lunch, then a mellow stroll or a kayak ride around the bay. 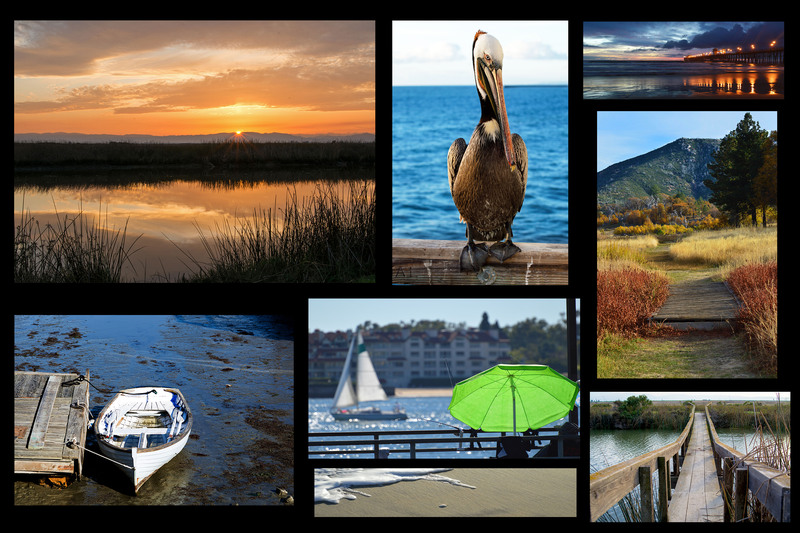 A great place to kayak or SUP. 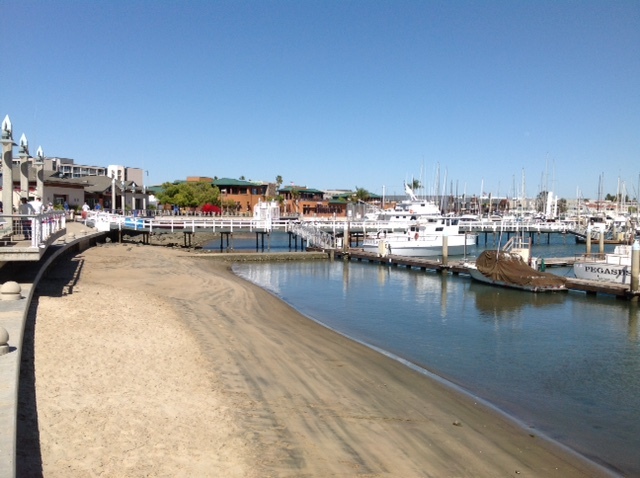 Next time you are in town or feel like taking a little drive, check out Point Loma Marina just off of North Harbor Drive. 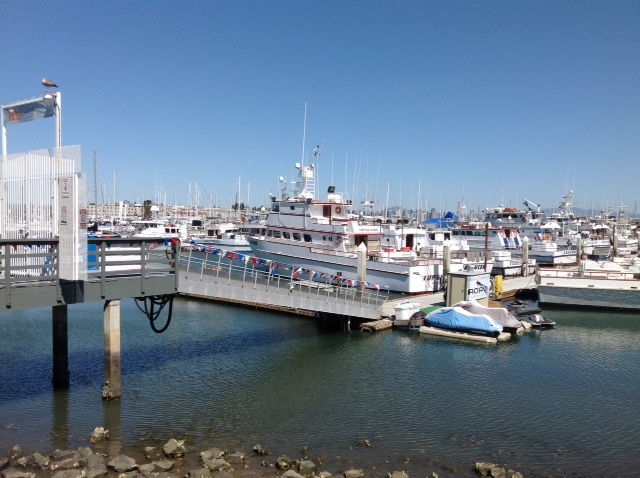 Hopefully, you won’t have a non-seafood eating friend like me with you so can you relax on the deck at Mitch’s and devour some shrimp and clams while enjoying that amazing panoramic view!